Setting up the perfect portfolio is impossible. 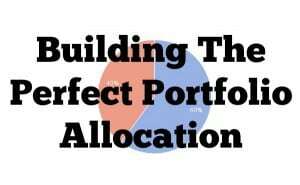 But, the perfect portfolio is one that has a solid asset allocation. We’ve talked about the importance of asset allocation before, and one of the most common questions is: that’s great, but HOW do I set it up? Fair enough. Here are five model portfolio asset allocations that you should consider based on your own risk tolerance. Remember, risk is always equal to reward, so the less risky the portfolio, the less it will return over time. While there is no right or wrong answer, setting up a balanced portfolio that matches your target asset allocation is hard. Once you find the perfect portfolio allocation to follow, make sure you check out our resource on maintaining proper asset allocation across multiple accounts. Sometimes, simple is the best way to do it. However, this is also one of the more conservative approaches to asset allocation. But it’s easy to follow, and easy to maintain, and the fees are low. This portfolio is based on a strategy by Rick Ferri, who believes in simple ETF and low fee strategies for investors. This portfolio is conservative because of the large portion of the shares in bonds, but it provides moderate growth and a hedge against market downturns. 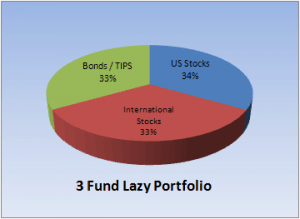 The three fund portfolio is a portfolio that has been advanced by the Bogleheads. It keeps to basic asset classes, and is popular because of its simplicity as well as its tax efficiency and low fees. Similar to the Simple Portfolio, this portfolio is designed to be more conservative, but it does have more growth potential due to the international exposure. This portfolio is designed for someone who is interested in investing and wants to setup a more complex portfolio, but at the same time needs to be more cautious on the risk front. This portfolio would be a smart choice for someone over 50, nearing retirement and needing the money in the portfolio sooner, rather than later. What this portfolio does differently than the simpler portfolio is it breaks the stocks and bonds up a little more, with a focus on the retirement age. This portfolio maintains more in bonds than any of the previous portfolios, and focuses on shorter term bonds which may fluctuate less in price and in turn, preserve principal. This portfolio is designed to be a balance. It’s not too conservative, but it’s not as risky as other portfolios as well. I would consider this portfolio for anyone who is 30-50, and is “normal” for risk tolerance. This group still has time on their side, so they can handle some return, but at the same time, don’t want a ton of risk. As you can see, this portfolio is mostly stock focused, with a larger percentage in small cap and international equities than other portfolios so far. This will provide more growth potential over time, but it also increases the risk of the portfolio, so time is important. Finally, we have the aggressive portfolio. This is designed for individuals who want larger returns and are willing to accept more risk. I see this group as individuals who are 18-30, and have over 30+ years until they will need to access the money in the portfolio. This portfolio has the most in stocks – 90%. And in the stock part of the portfolio, 30% in international and 30% is in small companies, which both have great return potential, but do carry more risk. Do you follow any of these portfolio models? 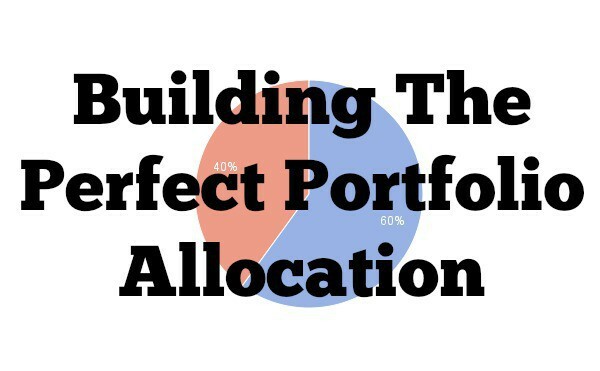 What does your perfect portfolio allocation look like?